Des is a Iwablick iwas Joar 597. 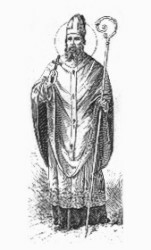 Augustinus von Canterbury landet in England. Columban vo Iona, Apostl Irlands, stirbt.